Happy Friday! Today I wanted to share with you a new product I've been using from a brand that I've just discovered Joico. This product was a thoughtful gift from my friend who knows i'm totally obsessed with hair products! 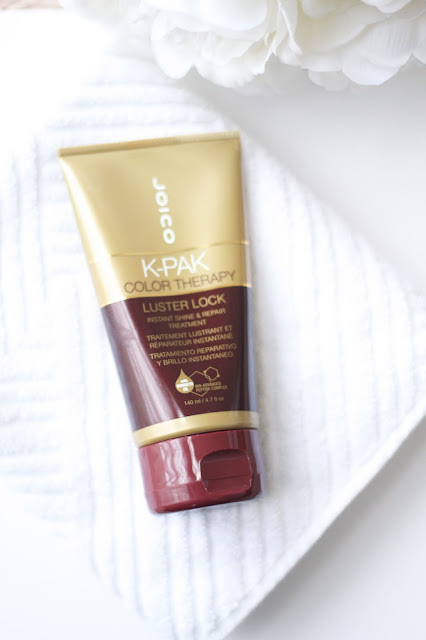 I've been using this Joico K-PAK colour therapy for over a month now, so if you are smitten with hair care products like me then keep reading! My friend has also been using this and she only had amazing things to say about this product so to say my hopes were high is definitely an understatement. The product itself has quite a creamy oily consistency if you know what I mean, but that makes sense as this treatment has Manketti oil as one of its ingredients. 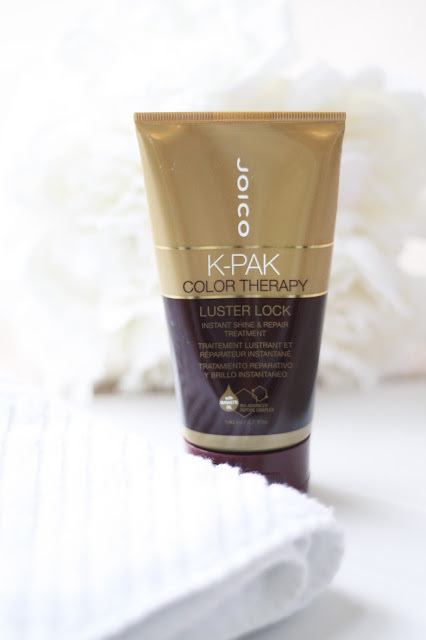 It absorbed quite quickly onto my damp hair and instantly made my hair feel silky and not weighed down. After I rinsed the product off my hair still felt lovely and soft!